If you've become aware of the existence of the mischievous characters Gaz and Leccy you have probably realised that something big is happening to our decades old utilities network. If you’ve become aware of the existence of the mischievous characters Gaz and Leccy you have probably realised that something big is happening to our decades old utilities network. Smart meters send and receive data about a household’s energy usage to both the electricity supplier and the network as a whole. This will replace the current system of manual and customer-provided meter readings and put an end to confusing and inaccurate estimated bills. It will also help suppliers create better tariffs for their customers and ensure the distribution network is run more efficiently, reducing the UK’s carbon footprint and the need for energy imports among other benefits. Smart meters will need to be installed into almost every home in the UK, hence the ‘Smart Meter Installers Wanted,’ advertisements popping up on job boards around the country. 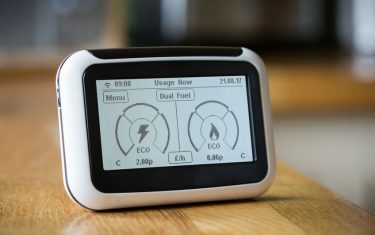 The installation costs have already been costed in to energy bills, so householders won’t have to pay a penny for the installation work and will also be provided with a free hand-held display unit to help them to monitor their own energy usage (and spending) with near real-time data. Smart meters are covered by strict safety laws and can only be installed by appropriately trained engineers. 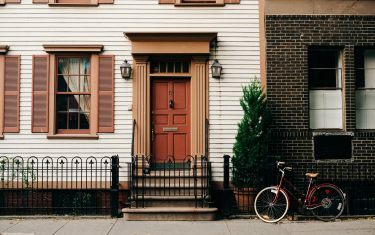 In addition, Ofgem have stipulated that engineers will need to have excellent customer service and communication skills since homeowners will need to be educated about the usage of smart meters and are likely to have a number of questions. Engineers will not, however, be required to ‘sell’ smart meters to customers. To fill the huge and growing demand for high calibre smart meter installers, several companies are now running specialist smart meter diplomas, including industry skills specialist ECTA training who are offering courses in Dual Fuel, Power (electric) and Gas smart meter installation. Prospective students do not need to have previous industry experience and the courses are suitable for a wide range of applicants from young school leavers and those with experience in the armed services to the recently laid off. Although students will need to have a confirmed work placement with an energy supplier prior to starting the course (for the mentored installation element), this can be secured through ECTA’s partnership with recruitment agencies offering work placement and guaranteed post- training employment for those who pass the course. In addition, ECTA may be able to offer some candidates a credit agreement covering the course fees (call or email for details about this). Working as a smart meter installer often comes with a generous renumeration package and starting salaries have recently been on an upward trend. Engineers will usually be supplied with their own van, uniform and mobile device and often an attractive pension. However, the smart meter rollout offers much more than just a short term job. Between now and 2020, it is expected that many smart meter engineers will rapidly gain the experience and skills to take on more supervisory positions. By that time they will be ready to move on to other roles within the energy industry; for example, they might want to specialise in domestic gas appliance installations or work within a corporate setting. In short, there are many options for a long and rewarding career that will naturally follow on from the initial smart meter installation drive.